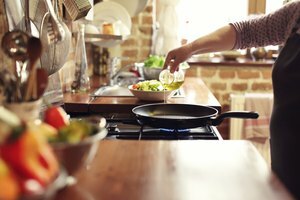 Even the simplest of cooking methods, such as frying, become safer and more effective when a cook understands its subtleties. 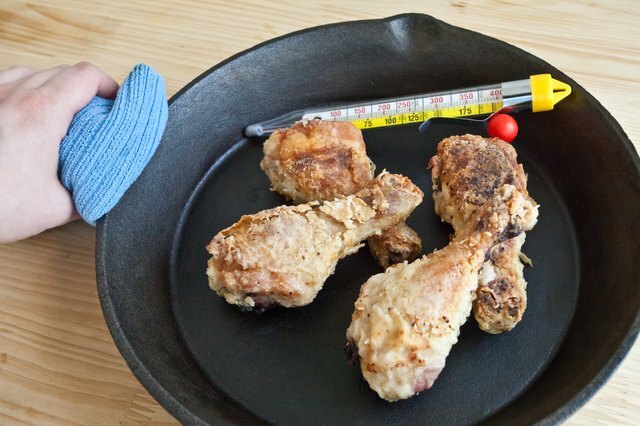 For example, if you find that hot fat tends to pop and spatter when you're cooking, there are probably a few things you could do differently. No one tip will eliminate spatters completely, but every positive change reduces your risk of an unpleasant burn from the hot fat. 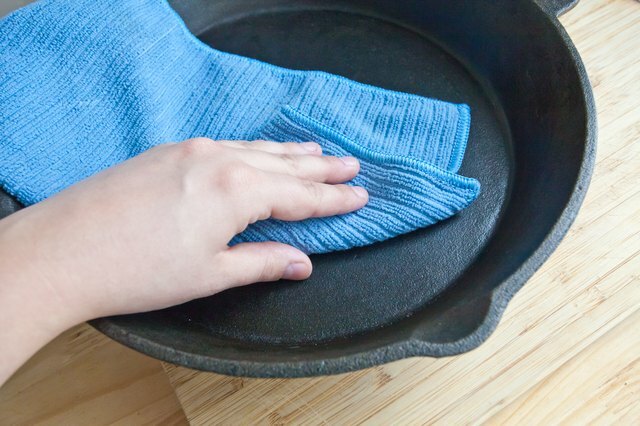 Dry the skillet thoroughly before you start. Pops occur when moisture expands rapidly to steam in the hot fat, so even a tiny bit of water in the cooking fat can be problematic. This is especially true of solid fats saved from another use, or of cooking oil that has been strained for a second use. 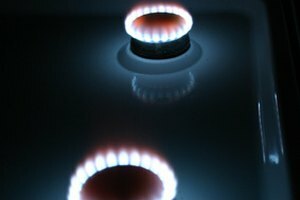 Start at a low temperature when you are frying anything on top of the stove. 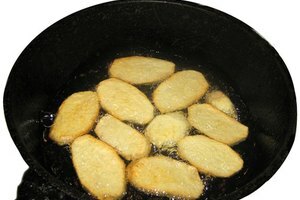 Warm your frying pan and oil/grease up gradually, so any moisture trapped in the fat has time to steam away gently as opposed to popping. 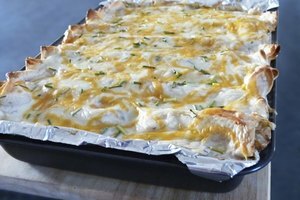 Blot meats, fish and other foods with moist surfaces before putting them in your skillet. 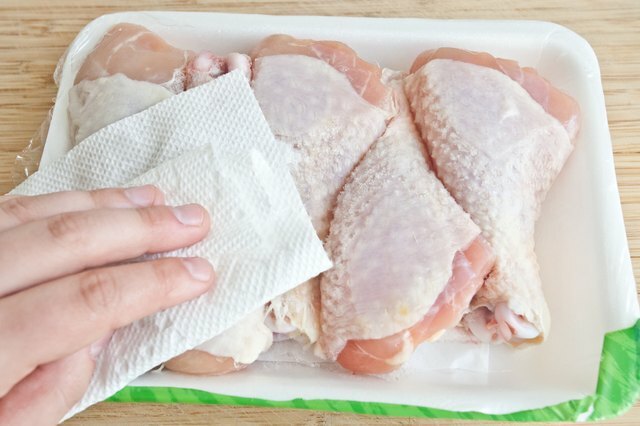 Press them lightly with a clean paper towel to absorb any excess moisture that might otherwise pop. Flour or bread foods, when appropriate. 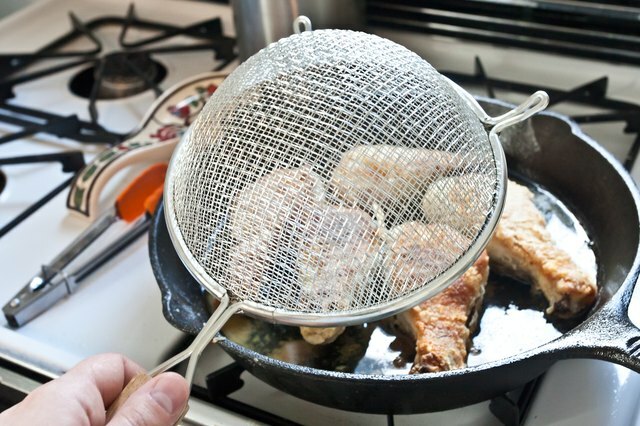 The breading helps absorb juices escaping from the food as it cooks, reducing the risk of spatters. Monitor your cooking temperature closely. 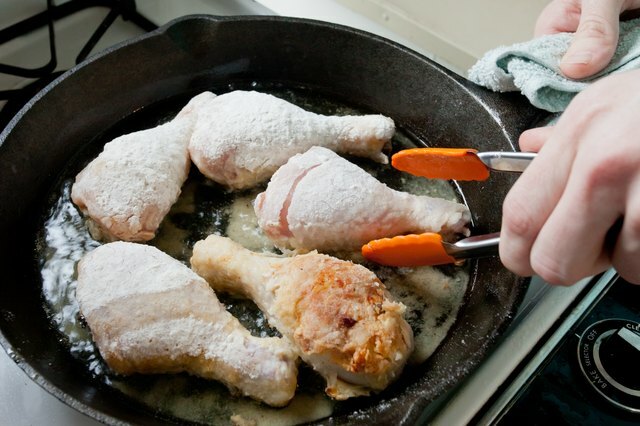 If the pan becomes too hot it will cause your foods to contract, shedding moisture which then causes the oil to pop. 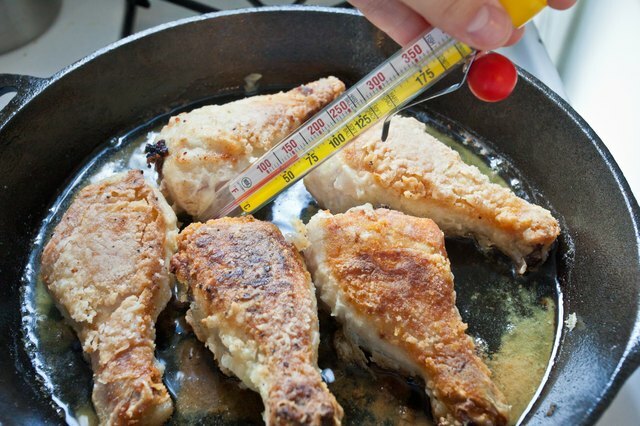 For deep frying, a deep-fat thermometer can help you maintain a suitable cooking temperature. 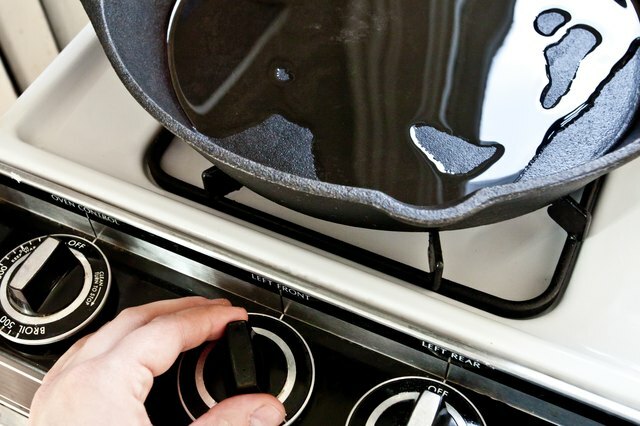 Remove the frying pan from the burner while you turn the food. 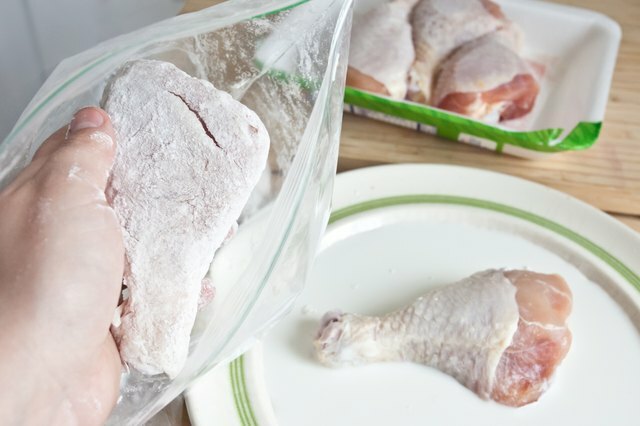 Juices naturally collect on the surface of your food while the other side is cooking, and this temporary reduction in the heat minimizes the popping you'll experience as you turn the food. Purchase a splash guard, or spatter screen, from your local discount store or department store. The guard consists of a large circle of fine mesh, with a sturdy rim and handle. 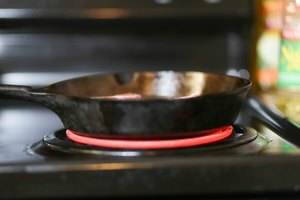 Lay the guard over your frying pan like a lid, while you're cooking. Steam can still escape, but the screen prevents popping grease from spattering you or your kitchen. For safety's sake, keep pets and children away from the cooking area whenever you're working with hot fat.